Mason County is named for the first Secretary of Washington Territory, C. H. Mason. As of 2017, the estimated population was 63,710. The county seat is at Shelton, the county's only incorporated city. 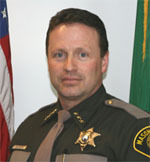 Mason County was formed out of King County on March 13, 1854. 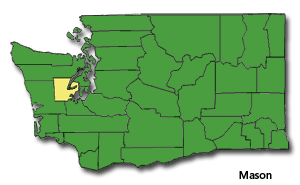 Originally named Sahewamish County, it took its present name in 1864. According to the U.S. Census Bureau, the county has a total area of 1,051 square miles, of which, 961 square miles of it is land and 90 square miles of it is water. The population density is 52 per square mile.